Laura was such a sweetie in letting me read an early copy of Phantom Universe - and what a ride! Phantom Universe is so unique that I found myself immersed so deeply within its pages, I had to take breaks just to breathe. The story begins with our heroine, Summer, who is taken at the tender age of four to become a slave on a pirate ship. Now before you start whipping out your eye patches and hooks and yelling "ARG", keep in mind this is not your usual pirate story from say the 1700s - this is current and well... not so current. It jumps to the future, and we are told Summmer's story between chapter flipping of when she is four and fifteen. Laura Kreitzer's words and descriptions are amazingly vivid, keeping me glued to the page in a feverous attempt to learn more. You could almost smell the brine, hear the creaking of the ship, feel the tension ... until you realize it's a sci fi story and suddenly you're inside the world of secret societies and a reoccupied United States now taken over by Canada. Now since this book is not released yet, I refuse to give spoilers. I will, however, tell you this one little secret. Summer cannot speak, and it's because of this the reader becomes so connected with her. Not only was I thrilled with how well Summer could communicate, but I felt tied to her emotions, giving her story an extra edge. Phantom Universe does have it's dark moments, touching on subjects such as torture and slavery but it's balanced with plenty of action, love twists,friendship and trust. I do recommend this for older YA readers because of the situations it touches on. Laura Kreitzer is a fantastic story teller and I cannot wait for Forsaken Harbor! 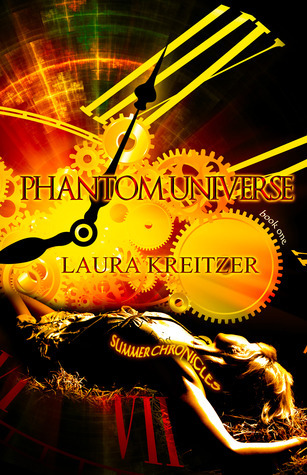 Sign into Goodreads to see if any of your friends have read Phantom Universe.